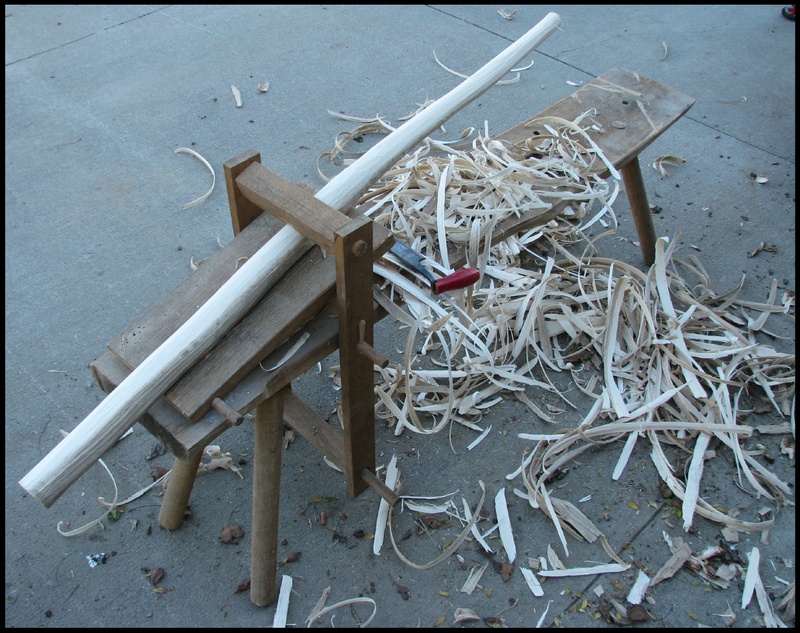 Below are some photographs from the process of the rough-shaping and bending (green) of post-oak, which is a variety of white oak, for use as legs in a pair of 3-legged stools -hopefully. 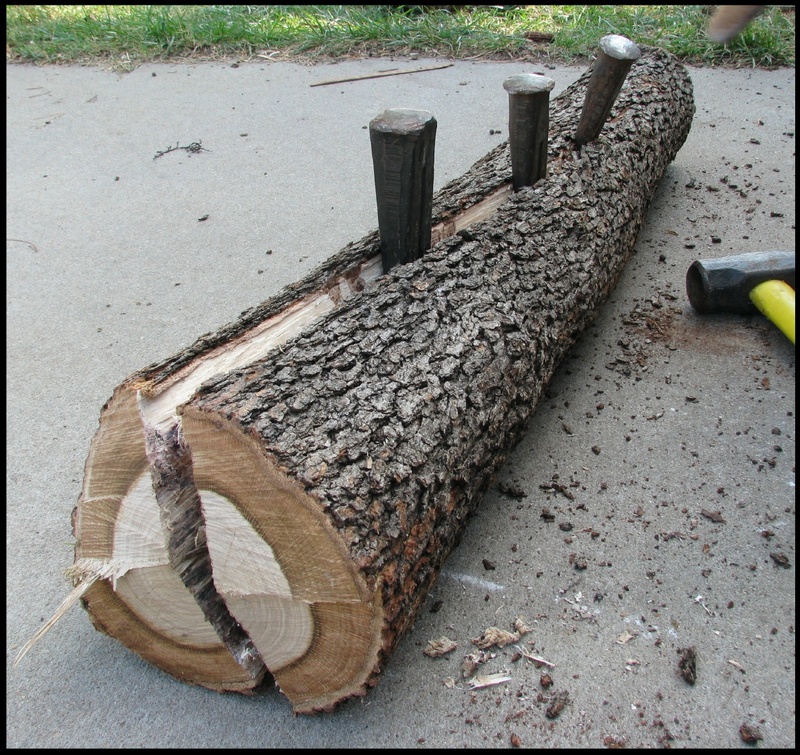 First the log was cut and split. 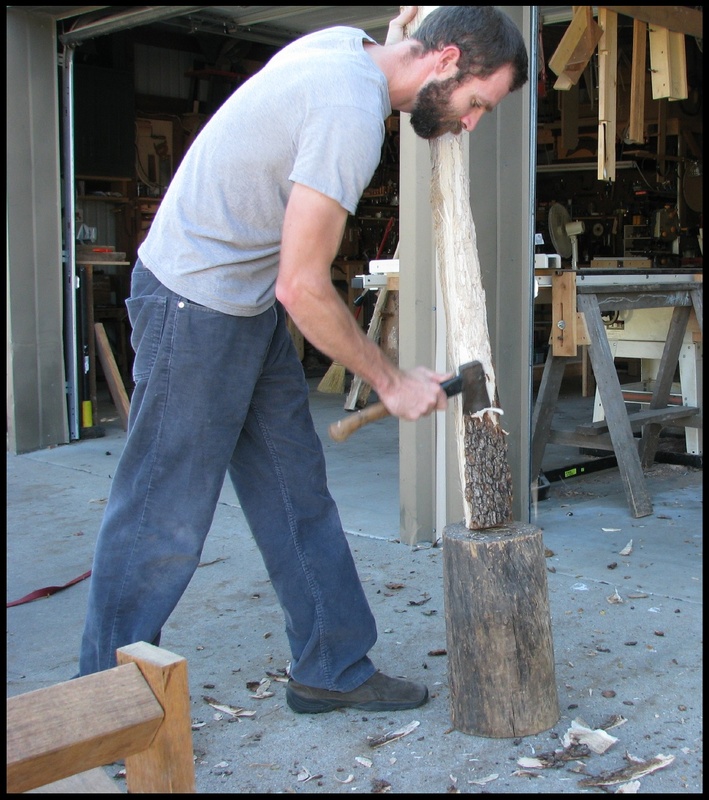 This one has quite a of twist, which I am hoping to integrate into the design of the stools. 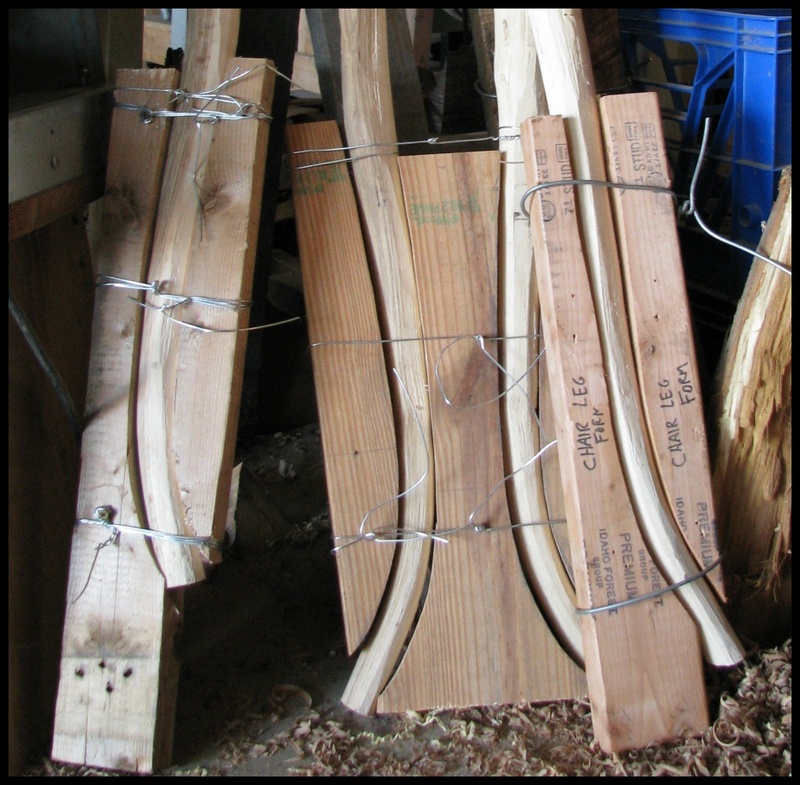 Next the halves are split into quarters and then into eighths with froe at the brake (no photos), then the eighths were trimmed with the hatchet. 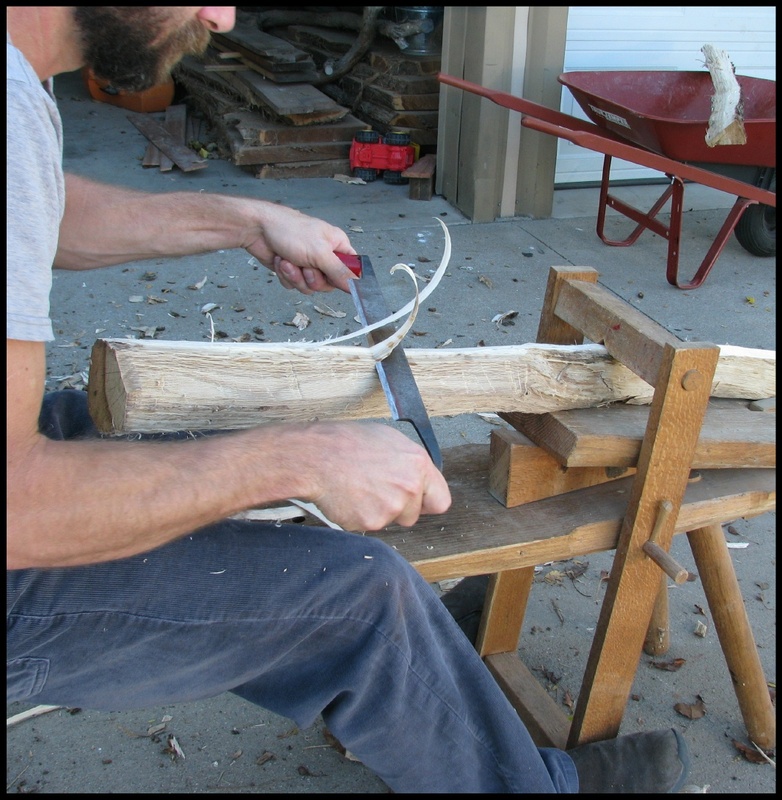 After trimming the pieces are shaped down with drawknife at the horse. After this rough shaping each piece was place in a form and bent using clamps, the clamps were removed after a few days and were replaced with wire. The legs will remain in the forms until they are dry and I am ready to shape them to final size. 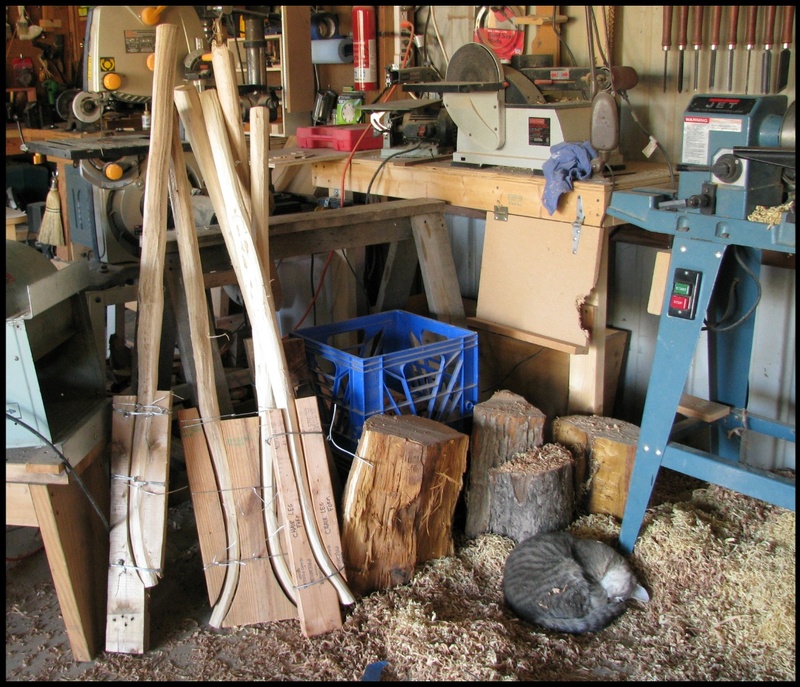 For deep information on working with green wood please see Peter Follansbee’s blog. can’t wait to see more posts about this. Yes, and her brother tries to sleep on my shoulders. But neither are as bad as when my goats break in, or as when, for a while, this summer, a few of my hens where laying eggs in the shavings under the lathe. I even covered a few who wouldn’t budge when I started turning.